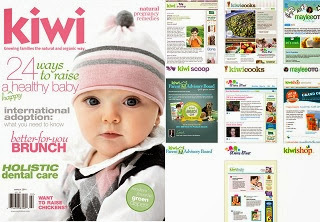 KIWI is dedicated to helping parents raise their children the healthiest way possible. Their charge is to introduce families to the latest in natural and organic living—showing how to practice this lifestyle on an everyday basis. KIWI understands that achieving the right balance between the ideal world and the real world can be difficult, so readers never feel scolded, only supported. KIWI helps parents make the best choices about health, food, home life, and more, so they can feel good about their families and the future.